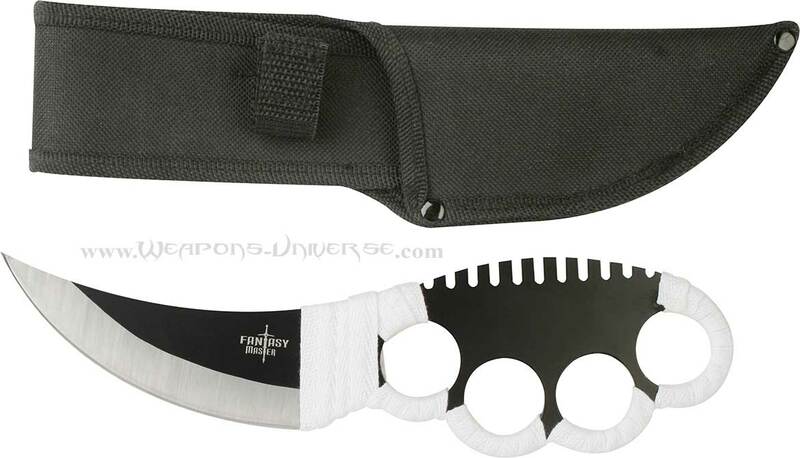 Master Cutlery FM-555 Warrior Knuckle Trench Knife, 9-1/2" Blade. Sharp, all stainless steel with a black finish with white nylon cord wrapped. Black nylon custom fitted sheath.